Undoubtedly, the most effective method of attracting large numbers of suitable passive applicants to apply for your advertised vacancies is through publishing opportunities out to job portals, your company website and social media utilising recruiting software. In the situation whereby your adverts reach the appropriate candidate audience, which they in turn refer to their network, you will start accumulating applications from candidates who stumble onto your jobs. This is the standard process that many companies employ in the hopes of obtaining suitable passive candidates. However, how does one cater for and, more importantly, attract sought after candidates who selectively seek out companies for which they would like to work? 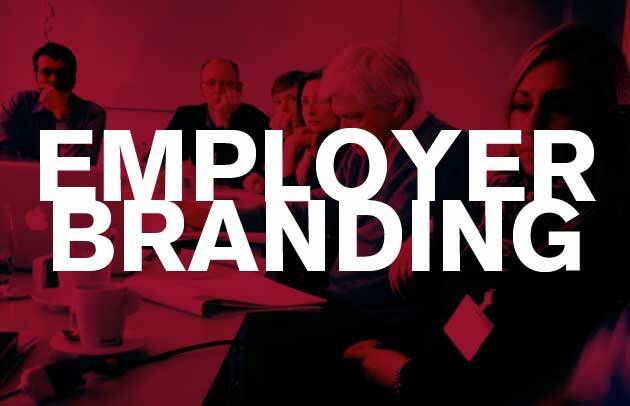 Employer branding and why you need to enhance yours! Surveys have shown that half of all HR executives state that employer branding is in their top three lists of strategic imperatives. With the explosion of social media, online job hunting, and job portals, it is vital that an organisation’s employer brand be communicated loud and clear out into the recruitment marketplace. Articulating your employer brand identity with complete clarity will assist your organisations recruitment processes. By conveying that your organisation is a great place to work, you will draw in the suitable candidates for your open positions. In order to convey your message with consistency, it is without doubt best practice to do so via your firms’ recruitment management software. A direct result of effectively communicating your company’s brand is that the likelihood of attracting suitable candidates will increase tenfold. Another beneficial consequence of this will be that the candidates applying will be a better fit to the organisational culture. Numerous studies have proven that hiring individuals who fit seamlessly in to an organisations culture tend to perform better and serve the employer for a longer period of time. This enables companies to save on the massive cost of recruiting activities and also reduces an organisations staff turnover. The best method of both establishing and maintaining consistency with your employer brand is to use recruitment management software. Here are some tips on how to utilise recruiting software to effectively establish your employer brand and attract candidates. A sure fire way to maintain employer branding consistency is to utilise applicant tracking e-recruitment software. Consistency is vital once you have implemented your employer brand identity. Aside from your company trademarks and logos, it is important to articulate the branding messages in such a way that they communicate the organisational culture and are concise. The company tagline, corporate vision, workplace videos, and business practices should all support your overall employer branding. If your brand promotes being socially connected, it makes sense to respond to candidate applications and ensure their questions are answered quickly. The goal here would be to make the experience a positive one that will stay with the candidate, regardless of the outcome, after the engagement. The best way to achieve this is through automation of communication managed by your recruitment system. You will also want to you ensure that you careers website is user friendly and well suited to promoting your employer brand positively. Utilising an integrated e-recruitment management system that allows for branding customisation is a great way to promote and standardise your recruitment branding efforts. It’s important to remember that your careers website will form a vital role in your employer branding efforts. It makes sense to use a tried and tested method which a recruitment system will offer this as standard. All organisations have an image that they would like to convey to prospective applicants and employer branding is the best vehicle to get that message across. Let your company’s careers page work for you, by expanding on and explaining the mission of the company and its value system around employee enhancement. Another key aspect of your careers page will be to make it as easy as possible for candidates to not only obtain as much compelling information as possible about your organisation, but to make it very easy for them to engage and apply for positions. These days’ recruitment and social media go hand in hand. It is therefore beneficial to put processes in place using software in order to bolster your employer brand. Most recruitment software systems make provision for integrating with your company social media pages which make it easy for you to leverage in order to promote your brand. Utilise social media and multimedia to tell the story of your company and improve your employer brand. Multimedia is a great way of improving your recruitment brand. Use videos and visual images to tell the story of your company culture. Obtain testimonials from current employees and use online video to show candidates what life is like at your company. Candidates will be more likely to apply for open jobs if your brand helps them easily identify the company culture and envision their future with the company.